City officials are preparing for garbage-collection giant Recology to raise prices charged to its customers — after those customers are asked in the June 5 election to open up to bid San Francisco’s garbage-collection contract for the first time in 80 years. The Department of the Environment issued in March a call for contractors to analyze a future “Refuse rate application,” according to records. The contractors will be asked to examine any rate hikes received from Recology between September 2012 and June 2013, according to department Deputy Director David Assmann. “We need to cover our bases and be prepared” in case of a rate increase, Assmann told The Appeal on Wednesday. In the past decade, Recology has raised rates every five years, as per a 2006 recommendation from Department of Public Works staff. 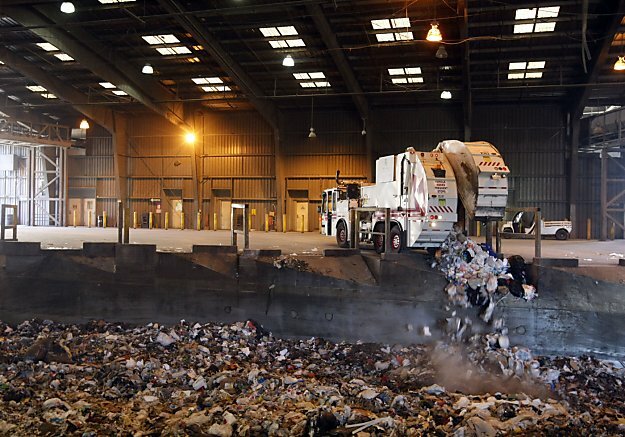 But after increases in 2001 and 2006, there was no rate increase in 2011, the year when the company negotiated a $112 million landfill contract with the city. Residential customers paid a monthly rate of $27.55 per 32-gallon garbage container in 2011, according to Guillermo Rodriguez, a department spokesman. The rate was $19.08 in 2006. The last time the city issued a rate analysis contract was 2005, when Sunset Scavenger — later rebranded as Recology — filed for the rate increase that went into effect in 2006, Rodriguez said. As the city prepares for a potential rate hike, Recology currently has “no imminent plans” to raise rates, and is instead focused squarely on Proposition A in the June election, according to spokesman Adam Alberti. Proposition A would amend the city charter — which has since 1932 granted Recology and predecessor companies Sunset Scavenger, Golden Gate Disposal, and Norcal Waste Systems exclusive rights to take out San Franciscans’ trash (and, in more recent years, our recycling and our compost) — to allow any company to submit a bid to perform city waste-disposal services. The five-year schedule for rate increases recommended by city staff and adhered to by Recology over the past decade is not law, Alberti noted, merely recent practice. To raise rates, Recology officials first issue to the city a “notice of intent” to raise rates six months before the actual rate increase filing. That filing triggers a lengthy public process that includes hearings, reports, and public input. Recology declined to raise rates last year in part because of a poor national and local economy, Assmann said. Since the economy has recovered slightly, and since it is a year past the five-year rate increase schedule, preparing for a rate increase with the analysis contract makes sense, he said. Proponents of Proposition A say that the company intentionally delayed hiking garbage rates until after the election. “It’s a stone cold lock that a rate increase will go into effect before July 1, 2013,” said Tony Kelly, a Potrero Hill activist and main proponent with former supervisor Quentin Kopp of Proposition A, which qualified for the ballot via a signature drive conducted last year. “What happened to the 2011 increase? It was delayed” until after the election, Kelly said. One of the city’s more politically-connected companies, Recology has spent heavily to defeat the measure and hold onto its no-bid monopoly. The company contributed $111,698.20 to the No On A campaign as of late March, according to the most-recent filings available. In a show of labor’s strength, the ballot measure has also met near-universal political opposition, receiving the thumbs-down from most city elected officials, the city Democratic Party, and the Chamber of Commerce as well as progressive groups like the Green Party and Tenants Union. A rate hike fresh on their minds might make voters think twice about continuing their relationship with the company, Kelly said. Just a city prepared to pay more to take out the trash.